To my eternal shame I missed this a couple of months ago, Cochlear announced on January 22nd this year the introduction of a brand new instant fit BAHA device. The new device is called the SoundArc and it is designed to allow children with conductive or mixed hearing loss, or single-sided deafness (SSD), who are not yet eligible or ready for an implant to try out the benefits of Bone Anchored Hearing Aids. Any surgical intervention is a worry, in particular when it is your child who faces it. The new solution offers the opportunity to assess the benefits of BAHA without having to undergo surgery. It is also ideal for children who are not eligible for surgery just yet. The new Baha SoundArc is a non-surgical, behind-the-head band that is an alternative to the Baha® Softband (released in 2002). 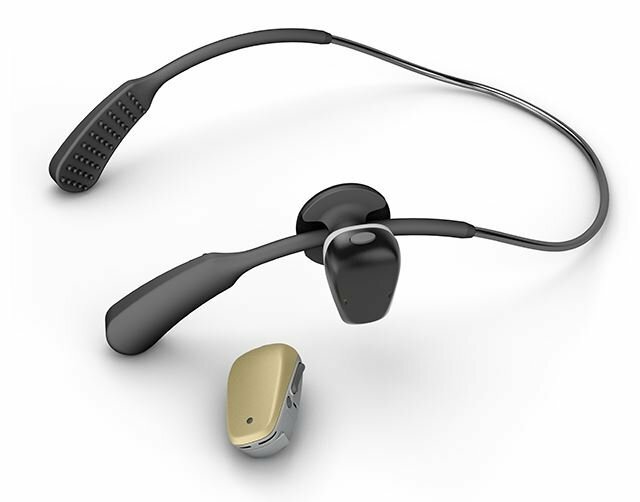 The non-surgical wearing options are part of Cochlear's bone conduction implant system, the CochlearTM Baha® System. The Baha System utilizes the body's natural ability to conduct sound to skip over the damaged parts of the outer and middle ear, sending clear, crisp sound directly to a working inner ear (the cochlea).2 The Baha SoundArc and the Baha Softband are designed to provide the same benefits and hearing performance and will work with one (unilateral) or two (bilateral) Baha® 5 Sound Processors. The new SoundArc provides a modern look, is lightweight, practical and easy to put on and take off. It fits securely and comfortably in place. The SoundArc comes in several sizes, is adaptable to fit different shaped heads and sizes, and it has a variety of soft colored tips to match hair, clothes or mood. The Baha 5 Sound Processor in the SoundArc will allow users to hear better across noisy environments and connect wirelessly to a variety of electronic devices. The sound processor facilitates direct-to-device wireless streaming and control with Made for iPhone technology, and a personalized hearing experience with the Baha 5 Smart App. For adults struggling with conductive hearing loss, mixed hearing loss, SSD and any of the associated conditions, the new device can be used as a trial device to demo how a Baha will sound before they make decisions to move forward with the Baha Implant System.